Here is the list of the hotels near Martel. Book your hotel near Martel today, Thursday 09 May for the best price, reservation and cancellation free of charge thanks to our partner Booking.com, leader in on-line hotels reservation. Below here is the list the 50 closest hotels of Martel, sortable according your criteria. You will find the position of these accommodations on the Martel hotels map. This hotel in the medieval town of Martel features 7000m² of private gardens, an outdoor pool and a restaurant with terrace or fireside dining. It consists of several buildings around the former chapel, Sainte Anne. The guest rooms at L'Hostellerie du Relais Sainte Anne are elegantly decorated and feature antique-style furniture. Each room has a flat-screen TV and some rooms have free Wi-Fi access. A continental breakfast is available every morning. Gastronomic cuisine featuring fresh products from the local market, is served in the restaurant. Activities in the area include canoe and kayaking from Gluges, 5.5 km away and the tourist railway in Quercy (1 km away). Souillac Train Station 15km away from the hotel. The medieval town of Rocamadour is within 20 km. Set in an historic house from located in Martel, 32 km from Sarlat-la-Canéda, La Devinie boasts a seasonal outdoor pool and views of the garden. All rooms have a flat-screen TV. Certain rooms have a seating area to relax in after a busy day. La Devinie features free WiFi . You will find a shared lounge at the property. Hiking , canoeing , mountain biking , golfing, and garden visiting can be enjoyed in the surroundings. The bed and breakfast also offers free use of bicycles. Rocamadour is 15 km away. The nearest airport is Brive Dordogne Airport, 15 km from the property while Saint-Denis-les-Martel Train Station is 7 km away. Located in Martel Medieval Village, 12 km from Brive-la-Gaillarde, Auberge des 7 tours offers a regional restaurant, a bar and a furnished terrace. It also features a large garden and free Wi-Fi access. The rooms at Auberge des 7 tours overlook the courtyard, the garden or the street. They also have a flat-screen TV and a private bathroom with free toiletries. A continental breakfast is served every morning and the dining room has tiled flooring and stone walls. It is 12 km from Brive-la-Gaillarde Airport and from Souillac Train Station. The city of Rocamadour is just 21 km away. La Maison du Sonneur is located in Martel. Free WiFi access is available in this holiday home. The accommodation will provide you with a TV and a patio. There is a full kitchen with a dishwasher and a microwave. Featuring a shower, private bathrooms also come with a bath or shower and a hairdryer. You can enjoy city view from all the rooms. An array of activities can be enjoyed on site or in the surroundings, including cycling, hiking, horse riding and water based activities. The property offers free parking. This holiday home is 15 km from Brive Vallée de la Dordogne Airport. Set in Martel, Domaine de La Vaysse offers accommodation with free WiFi. The units have a fully equipped kitchen with dining area, a dishwasher and an oven. A microwave and toaster are also available, as well as a coffee machine. Continental and buffet breakfast options are available each morning at the holiday home. Domaine de La Vaysse offers an outdoor pool. Guests at the property can enjoy table tennis on site, or cycling in the surroundings. Sarlat-la-Canéda is 43 km from the accommodation. Brive Dordogne Valley Airport is 19 km away. Hameau les Combelles is situated in Martel, 50 km from Sarlat-la-Canéda. Brive-la-Gaillarde is 35 km from the property. Free WiFi is featured and free private parking is available on site. The accommodation features a seating and dining area. There is also a kitchen, fitted with a dishwasher and oven. A microwave is also available, as well as a coffee machine and a kettle. There is a private bathroom with a hairdryer in every unit. Hameau les Combelles also includes a seasonal outdoor pool. You can play table tennis at the property, and the area is popular for cycling. You can engage in various activities, such as fishing and hiking. Rocamadour is 25 km from Hameau les Combelles. The nearest airport is Bergerac-Roumanière Airport, 130 km from the property. Featuring a seasonal outdoor swimming pool and free WiFi, Domaine de la Vaysse chambres d'hôtes is situated in Martel. The property has barbecue facilities, as well as a garden. The guest house provides a shared lounge. At the guest house, all rooms have a desk. The rooms come with a private bathroom with a hair dryer, while some rooms also boast a balcony and others also provide guests with pool views. All guest rooms have a wardrobe. Guests at Domaine de la Vaysse chambres d'hôtes can enjoy a continental breakfast. The accommodation offers a terrace. You can play table tennis at Domaine de la Vaysse chambres d'hôtes. Sarlat-la-Canéda is 45 km from the guest house, while Brive-la-Gaillarde is 35 km away. The nearest airport is Brive Dordogne Valley Airport, 20 km from Domaine de la Vaysse chambres d'hôtes. Featuring free WiFi, Bergerie de Lagarrigue is a charming B&B located 3km from the medieval village of Martel, and 20mn from Rocamadour and the Gouffre de Padirac. Free private parking is available on site. Each room is fitted with a flat-screen TV. Some units feature a seating area for your convenience. Every room is equipped with a private bathroom. Extras include bath robes and a hair dryer. Sarlat-la-Canéda is 28 km from Bergerie de Lagarrigue, while Brive-la-Gaillarde is 26 km from the property. Brive-Vallée de la Dordogne Airport is 15 km away. Located in Gluges, a village situated along the banks of the River Dordogne, this hotel offers a seasonal outdoor swimming pool and a restaurant with a terrace. Saint-Denis-près-Martel Train Station is 6 km away. Guest rooms are simply decorated and are equipped with a desk and wardrobe. The modern en suite bathrooms offer free toiletries, a hairdryer and either a bathtub or shower. A buffet breakfast is served in the restaurant room every morning, or on the terrace, weather permitting. For other meals, the hotel’s restaurant serves regional cuisine, which is served on the terrace during the summer months. Guests are invited to relax by the fireplace in the lounge and use the free Wi-Fi provided. Additional services available include a bar service and free on-site parking. Situated in Martel, 47 km from Sarlat-la-Canéda, les hauts de Louchapt features a seasonal outdoor swimming pool and free WiFi. A terrace with pool views is offered in each unit. Guests at the bed and breakfast can enjoy a continental or a buffet breakfast. Cycling can be enjoyed nearby. Brive-la-Gaillarde is 28 km from les hauts de Louchapt. The nearest airport is Brive Dordogne Valley Airport, 22 km from the accommodation. Located in Baladou, House Baladou - 8 pers, 135 m2, 5/4 provides accommodation with a private pool and garden views. Guests staying at this holiday home have access to a fully equipped kitchen. The holiday home has a TV. Sarlat-la-Canéda is 37 km from the holiday home, while Brive-la-Gaillarde is 35 km from the property. The nearest airport is Brive Dordogne Valley Airport, 18 km from House Baladou - 8 pers, 135 m2, 5/4. 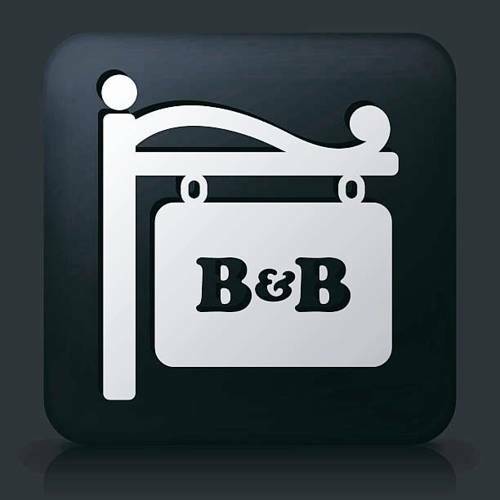 Located in Martel, LAVERGNE BED & DINNER provides air-conditioned accommodation with a terrace and free WiFi. Featuring a patio, the bed and breakfast is in an area where guests can engage in activities such as cycling, fishing and hiking. The bed and breakfast comes with a satellite flat-screen TV. A continental or buffet breakfast is available every morning at the property. The bed and breakfast offers a barbecue. A casino can be found at LAVERGNE BED & DINNER, along with a garden. Brive-la-Gaillarde is 35 km from the accommodation. The nearest airport is Brive Dordogne Valley Airport, 27 km from LAVERGNE BED & DINNER. Guests staying at this holiday home have access to a fully equipped kitchen. This holiday home with garden views features a bathroom with a shower. A TV is featured. Sarlat-la-Canéda is 35 km from House Floirac - 6 pers, 160 m2, 4/3. Château De Termes is located in the heart of Quercy Perigord at the gates of the medieval city of Martel. It offers serviced rooms is the main 18th-century building and self-catering chalets set in its 9-acre park. There guests will enjoy free Wi-Fi and free parking. At Château De Termes, each room has personalised decoration and the Chalets are equipped with full kitchens. 2 Chalets offer disabled access. Breakfast is served daily on the terrace and include bread, croissants, yoghurts, cereals, homemade jam and hot beverage. The property also has a large boardroom for events and seminars. On site, guests will freely enjoy a swimming pool, wading pool, mini tennis court, volleyball and badminton playgrounds, tree houses and games for children. The property is a 25-minute drive from Rocamadour and Padirac, as well as from Castelnau and the Caves of Lacave. Situated in Saint-Denis-lès-Martel in the Midi-Pyrénées region, Le Gîte du Moulin du Boisset has a terrace. This holiday home features a seasonal outdoor swimming pool. The 1-bedroom holiday home has a living room with a flat-screen TV, a fully equipped kitchenette with a dishwasher and oven, and 1 bathroom with hot tub. At the holiday home guests are welcome to take advantage of a hot tub. This property provides a barbecue. Sarlat-la-Canéda is 49 km from Le Gîte du Moulin du Boisset, while Brive-la-Gaillarde is 30 km away. The nearest airport is Brive-La Roche Airport, 38 km from the property. Located in Saint-Denis-lès-Martel, 36 km from Sarlat-la-Canéda, Le Moulin du Boisset is a 14th-century building with many original architectural features. It has a seasonal outdoor pool and views of the pool. Free WiFi is available and free private parking is available on site. Each room at Le Moulin du Boisset has a view of the river or the garden. There is a shared lounge, a pool house and barbecue facilities at the property. Brive-la-Gaillarde is 26 km from Le Moulin du Boisset, while Rocamadour is 17 km away. Guest accommodation Strenquels Preferred hotel ! La Chapelle du Chateau Lagarrigue is set in Strenquels and has a private pool, a kitchen and garden views. Boasting a terrace, the holiday home is in an area where guests can engage in activities such as cycling, hiking and tennis. This holiday home has 2 bedrooms and 2 bathrooms with a bath and a shower. A flat-screen TV is offered. The holiday home offers an outdoor pool. The property features a barbecue and a garden, which can be enjoyed by guests if the weather permits. Brive-la-Gaillarde is 27 km from La Chapelle du Chateau Lagarrigue, while Rocamadour is 30 km away. The nearest airport is Brive Dordogne Valley Airport, 17 km from the property. La petite maison de Clotilde is located in Creysse and offers a garden. Guests staying at this holiday home have access to free WiFi and a fully equipped kitchen. The holiday home has a satellite flat-screen TV and 2 bedrooms. Sarlat-la-Canéda is 44 km from the holiday home, while Brive-la-Gaillarde is 39 km away. Brive Dordogne Valley Airport is 26 km from the property. Located in Creysse on the banks of the Dordogne River, Auberge de l’ile offers a terrace, garden and restaurant. All rooms feature views of the garden, a flat-screen TV and a wardrobe. The en suite bathroom is complete with a hairdryer and free toiletries. A breakfast is available each morning and it can even be served in the guest’s room. Traditional French cuisine is offered in the restaurant and guests can relax with a drink in the bar. Souillac and Racamadour are within a 20-minute drive each. Free Wi-Fi access is available throughout and free private parking is possible on site. Located in Baladou, House Le jarsou 1 features accommodation with a private pool. Guests staying at this holiday home have access to a fully equipped kitchen. The holiday home features a TV. Sarlat-la-Canéda is 36 km from the holiday home, while Brive-la-Gaillarde is 35 km from the property. The nearest airport is Brive Dordogne Valley Airport, 19 km from House Le jarsou 1. House L'oustal 3 is located in Saint-Sozy. The holiday home has garden views and is 38 km from Sarlat-la-Canéda. The holiday home is equipped with a TV. The accommodation is fitted with a kitchen with a microwave and fridge. Brive-la-Gaillarde is 43 km from the holiday home, while Rocamadour is 18 km from the property. Brive Dordogne Valley Airport is 22 km away. Set in Baladou, Les Mandarins features free WiFi, and guests can enjoy a seasonal outdoor swimming pool, a garden and a terrace. The bed and breakfast offers a flat-screen TV and a private bathroom with free toiletries, a hair dryer and shower. A continental breakfast is available every morning at the property. At Les Mandarins you will find a restaurant serving Local cuisine. Sarlat-la-Canéda is 36 km from the accommodation, while Brive-la-Gaillarde is 41 km from the property. Brive Dordogne Valley Airport is 19 km away. House Pech touloumo is situated in Mayrac. Guests staying at this holiday home have access to a fully equipped kitchen. The holiday home is equipped with a TV. Sarlat-la-Canéda is 38 km from the holiday home. Brive Dordogne Valley Airport is 21 km away. Boasting accommodation with a private pool, House Meyronne - 12 pers, 300 m2, 6/5 is located in Meyronne. The accommodation is 42 km from Sarlat-la-Canéda. The holiday home is equipped with a TV. The accommodation is fitted with a kitchen with a dishwasher and fridge. Brive-la-Gaillarde is 47 km from the holiday home, while Rocamadour is 16 km away. The nearest airport is Brive Dordogne Valley Airport, 26 km from the property. Offering a barbecue and sun terrace, Le Pigeonnier offers accommodation in a private house located in Martel. Free WiFi is offered and free private parking is available on site. The room features a private bathroom. A continental breakfast is served every morning. A heated seasonal outdoor pool is available on site. You can play table tennis at this homestay, and free use of bicycles is available. Sarlat-la-Canéda is 34 km from Le Pigeonnier, while Brive-la-Gaillarde is 28 km away. Brive Dordogne Valley Airport is 30 km from the property. The holiday home boasts garden views and is 32 km from Sarlat-la-Canéda. The holiday home comes with a TV. There is a bathroom with free toiletries. Brive-la-Gaillarde is 32 km from House Le petit mas de montvalent, while Rocamadour is 9 km from the property. Located in Cuzance, House Rêve du caryan provides accommodation with a private pool and private parking. The property has garden views. The holiday home is equipped with a TV. A dishwasher and a fridge can be found in the kitchen. Sarlat-la-Canéda is 41 km from the holiday home, while Brive-la-Gaillarde is 26 km from the property. The nearest airport is Brive Dordogne Valley Airport, 12 km from the property. Set in Cuzance, House Les vignes grandes features accommodation with a private pool and garden views. Guests staying at this holiday home have access to a fully equipped kitchen. The holiday home is equipped with a TV. Sarlat-la-Canéda is 41 km from the holiday home, while Brive-la-Gaillarde is 26 km from the property. Brive Dordogne Valley Airport is 12 km away. Set in Meyronne in the Dordogne Valley, 15 km from Rocamadour, Laborie features an outdoor pool, and garden views of the countryside. Brive-la-Gaillarde is 31 km away. All units include a lounge and dining area. Both units also have a private furnished garden with barbecue. There is also a kitchen, fitted with a dishwasher and washing machine. An oven and microwave are also offered, as well as a coffee machine and a kettle. There is a private bathroom with a hairdryer in each unit. Bed linen is included in the price. Rocamadour is 9 km from Laborie, while Cahors is 49 km from the property. The nearest airport is Brive Dordogne Valley Airport, 32 km from the property. Located in Meyronne in the Midi-Pyrénées Region, 29 km from Sarlat-la-Canéda, Au Picatal features a sun terrace with views over the garden. Free private parking is available on site. Au Picatal features free WiFi throughout the property. You will find a shared lounge at the property. A range of activities are offered in the area, such as cycling and hiking. Brive-la-Gaillarde is 31 km from Au Picatal, while Rocamadour is 9 km from the property. Brive Dordogne Valley Airport is 32 km away. Manoir Du Clausel is situated in Cuzance. This holiday home features a seasonal outdoor swimming pool. With free WiFi, this holiday home provides a flat-screen TV, a washing machine and a kitchen with a dishwasher and oven. The property also has 2 bathrooms has a shower and a hair dryer. The holiday home offers a barbecue. A garden and a terrace are offered at the property. Sarlat-la-Canéda is 36 km from Manoir Du Clausel, while Brive-la-Gaillarde is 30 km from the property. The nearest airport is Brive Dordogne Valley Airport, 18 km from the accommodation. Guest accommodation Rignac - Lot Preferred hotel ! La chaumiere is a detached holiday home set in Rignac, next to Cuzance and featuring a garden with a barbecue. The property is 25 km from Sarlat-la-Canéda and free private parking is offered. There is a seating area and a kitchen. Towels and bed linen are provided in this holiday home. Other facilities at La chaumiere include a sun terrace. Brive-la-Gaillarde is 25 km from La chaumiere, while Rocamadour is 17 km away. A selection of activities are offered in the area, such as canoeing and hiking. Brive Dordogne Valley Airport is 24 km from the property. A B&B set next to a meander of the Dordogne River, Chambres & Tables d'hôtes Le Pech Grand is set in a park overlooking the valley and offering furnished terraces. At Chambres & Tables d'hôtes Le Pech Grand, guests can find rooms with free WiFi access and a private bathroom with toilet. Consisting of homemade produce, breakfast is served daily. Upon prior reservation, guests can share a meal featuring regional cuisine at the owner’s table. Outdoor chess and a boules court can be enjoyed on site, while canoeing and paragliding are possible in the surroundings. 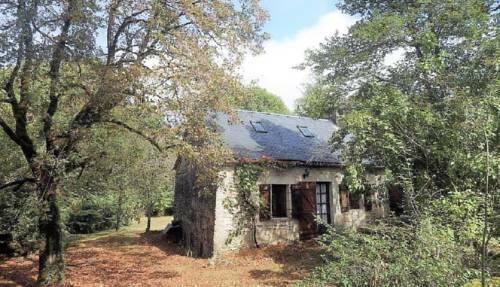 Souillac Train Station is a 25-minute drive away and Brive Airport 25 km from the property. Situated in Cuzance, Chambres et table d'hôtes La Panacée offers accommodation with free WiFi. Some units have a terrace and/or a balcony with pool or garden views. A continental breakfast is available daily at the property. There is an in-house restaurant, which serves European cuisine. The bed and breakfast offers an outdoor pool. Guests can also relax in the garden. Sarlat-la-Canéda is 36 km from Chambres et table, while Brive-la-Gaillarde is 30 km away. The nearest airport is Brive Dordogne Valley Airport, 16 km from the accommodation. Hotel Grangier is in a small village in the Lot region. Each Grangier room is equipped with a flat-screen TV and telephone. Grangier’s restaurant serves regional cuisine. Hotel Grangier has a swimming pool and parking is available. This elegant guest house is set in a 19th century mansion in the quiet village of Cuzance in the Midi-Pyrénées region. It features a 5-hectares garden with terraces and an outdoor swimming pool. The guest rooms and suites all offer views of the garden and include seating areas and en suite bathrooms. Some rooms feature private patios and facilities for making hot drinks. Traditional evening menus prepared with local products can be served at Manoir de Malagorse upon demand. The breakfast buffet can be enjoyed on the terrace on sunny mornings. Massages can be organised and guests have access to a washing machine. The guest house has a library and a children’s playground. Free parking is available and Souillac Train Station is 9 km away. The guest house is 12 km from Martel and 19 km from Brive-Souillac Airport. House Meyronne - 7 pers, 175 m2, 4/3 is set in Meyronne. Guests staying at this holiday home have access to a fully equipped kitchen. The holiday home comes with a TV. Sarlat-la-Canéda is 41 km from the holiday home. Brive Dordogne Valley Airport is 24 km away. Holiday home Le Cayrac - 2 is situated in Saint-Sozy. The property features garden views. This 4-bedroom holiday home comes with a kitchen, a seating area, and a satellite TV and DVD player. The holiday home offers a barbecue. Sarlat-la-Canéda is 40 km from Holiday home Le Cayrac - 2, while Brive-la-Gaillarde is 45 km away. Brive Dordogne Valley Airport is 24 km from the property. Le Kouloury offers bed and breakfast accommodation 15 km from Rocamadour and 5 km from Lacave Caves. There is free Wi-Fi and a children’s playground on site. Featuring a bath or shower, private bathrooms also come with a hairdryer and free toiletries. You can enjoy a mountain view and a garden view from all the rooms. Extras include a fan. In the morning, a continental breakfast is served, including a croissant, some bread, homemade jam, homemade cakes, fruits, fruit juice, and hot drinks. At Le Kouloury you will find a garden and a terrace. Other facilities offered include a large living room with books and a TV. Souillac and the medieval village of Martel are 13 km from the B&B, while Padirac is 16 km away. The property offers free parking. Offering a seasonal heated outdoor pool, La Forge offers a studio set in the countryside in Meyronne in the Lot, 29 km from Sarlat-la-Canéda. Free private parking is available on site. Featuring exposed beams, the studio includes a sitting room, an en-suite shower room, toilet, a double bedroom and an eat-in conservatory for breakfast. In the private seating area, 32 french HD channels as well as UK satellite channels are available on TV. Free WiFi is provided. Bars, restaurants, and various stores are located nearby. Set within walking distance to the Dordogne River, the property is 9 km from Rocamadour and 12 km from Martel. La Forge is a 20-minute drive from A20 Motorway, Brive Airport and Souillac Train Station. Featuring free WiFi and a seasonal outdoor pool, Le Mazet D'Olt offers accommodation in Saint-Michel-de-Bannières, 50 km from Sarlat-la-Canéda. The bed and breakfast has a children's playground and sun terrace, and guests can enjoy a meal at the restaurant. Free private parking is available on site. You will find a shared lounge at the property. Evening meals can be served on site upon prior reservation for an extra cost. Brive-la-Gaillarde is 28 km from Le Mazet D'Olt, while Rocamadour is 20 km away. The nearest airport is Brive Dordogne Valley Airport, 26 km from Le Mazet D'Olt. Chez les chtis de vayrac is set in Vayrac. The property, housed in a building dating from 19th century, features free WiFi. The apartment consists of 3 separate bedrooms, 1 bathroom with free toiletries and a hair dryer, and a seating area. The kitchen has a microwave, a toaster and a fridge, as well as coffee machine and kettle. Brive-la-Gaillarde is 31 km from the apartment, while Rocamadour is 26 km from the property. Brive Dordogne Valley Airport is 29 km away. Set 2.4 km from Lacave Caves in Lacave, House Lacave - 4 pers, 78 m2, 3/2 1 offers accommodation with a kitchen. The property features garden views. The holiday home has a TV. The nearest airport is Brive Dordogne Valley Airport, 28 km from the holiday home. Boasting garden views, House Marbot is located in Lacave, 2.3 km from Lacave Caves. Guests staying at this holiday home have access to a fully equipped kitchen. The holiday home features a TV. The nearest airport is Brive Dordogne Valley Airport, 28 km from the property. Located 2.3 km from Lacave Caves in Lacave, House Franquette offers accommodation with a kitchen. The property has garden views. The holiday home features a TV. Brive Dordogne Valley Airport is 28 km from the property. The units at House La maison cheyroux provide views of the garden and come with a washing machine, a fully equipped kitchen with a dishwasher, and a private bathroom with free toiletries. Sarlat-la-Canéda is 38 km from the holiday home, while Brive-la-Gaillarde is 21 km from the property. Located in Pomayrede in the Midi-Pyrénées region, Holiday Home Périgord features a terrace. This holiday home provides accommodation with free WiFi. The holiday home includes 3 bedrooms and a kitchen with a dishwasher and a coffee machine. A TV with satellite channels is provided. The holiday home offers a children's playground. Guests at Holiday Home Périgord are welcome to enjoy cycling nearby, or make the most of the garden. Sarlat-la-Canéda is 39 km from the accommodation, while Brive-la-Gaillarde is 44 km away. Brive-La Roche Airport is 43 km from the property. Below here is the hotels map of Martel. Names and details of Martel hotels can be shown on the map clicking on the prices icons.